Welcome to Term 1 2016. I hope you have all had a wonderful holiday. 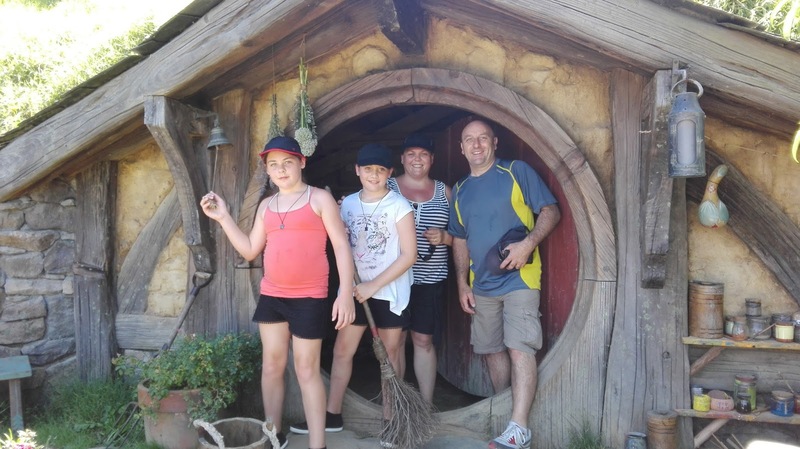 It has been a quiet one for myself and my family but we did have a few days in Matamata and visited Hobbiton. Emily, Lydia, Mark and I thought the Hobbit holes might be a bit too small for our family to live in so we decided to return home. I am very excited to be teaching in Room 13 this year and meeting everyone on our first day back which is Tuesday 2nd February. Enjoy the last weekend of the holidays.